Maddie needed t odecorate a box for Valentine's Day to bring to her class party. Neither of us could figure out how to decorate it so we started searching in our 2 favorite places......Pinterest and the Recycling bin. We found this pin on pinterest and both of us loved it instantly and thankfully we had all the materials on hand. We grabbed a Kleenex box that looked like scales and an old egg carton. I then handed Maddie some glue, scissors, and construction paper and let her imagination go. 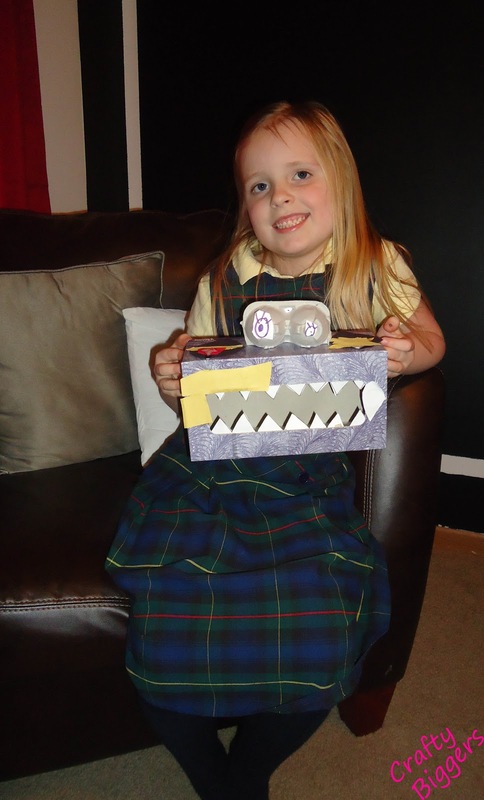 I helped her glue the teeth to the inside of the box and tape the piece of the egg carton on the top. She gave the monster some ice cream (on the right) and bandaides for his owie (on the left). There are hands and scales that you can't see but we are both happy with the outcome. In the end I'm glad that Maddie wouldn't let me help her decorate. She is very proud with how it turned out and I love let her use her imagination. Love it! I have this same thing pinned. 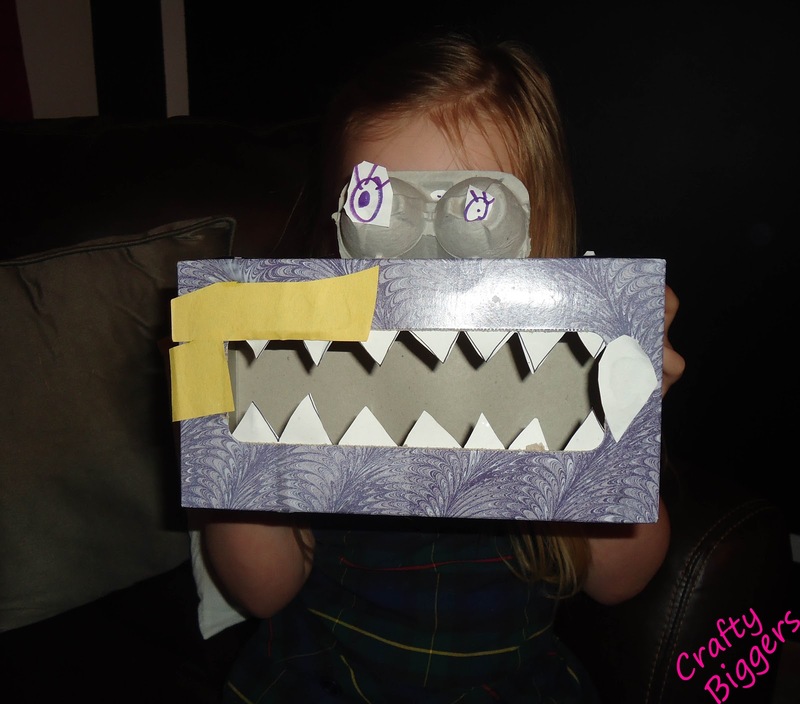 I think it's an incredibly adorable valentine's day box. Good for you for letting her take complete creative rein. I have such a hard time stepping back and doing that. I hope her monster box gets filled with lots and lots of special valentines! Thanks! I'm a bit of a control freak so sometimes Maddie has to remind me that "it's not your craft Mom".